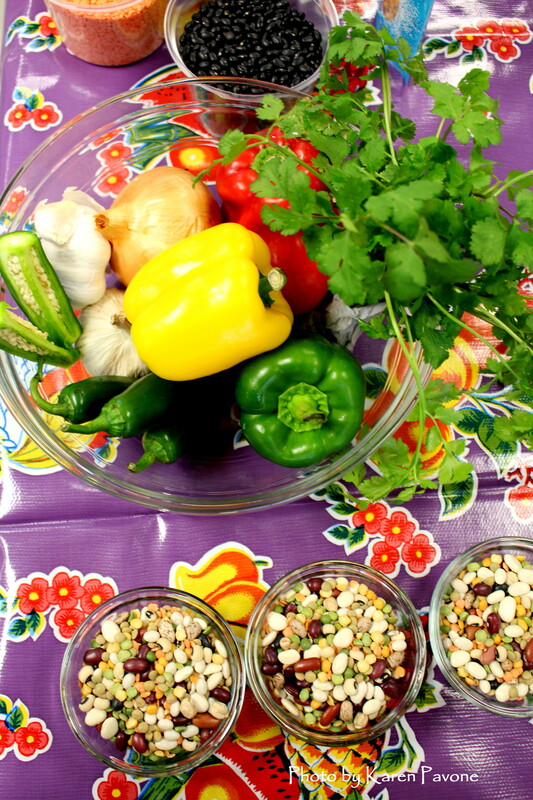 How do you inspire children to eat healthy and make good food choices? That’s the question Chef Hollie Greene set out to answer when she founded the Joyful 12 School Project in 2015. Greene’s journey in “fooducation” began in New York where she worked as a Leadership Development Director for American Express by day, and attended culinary school at ICC (International Culinary Center) at night. 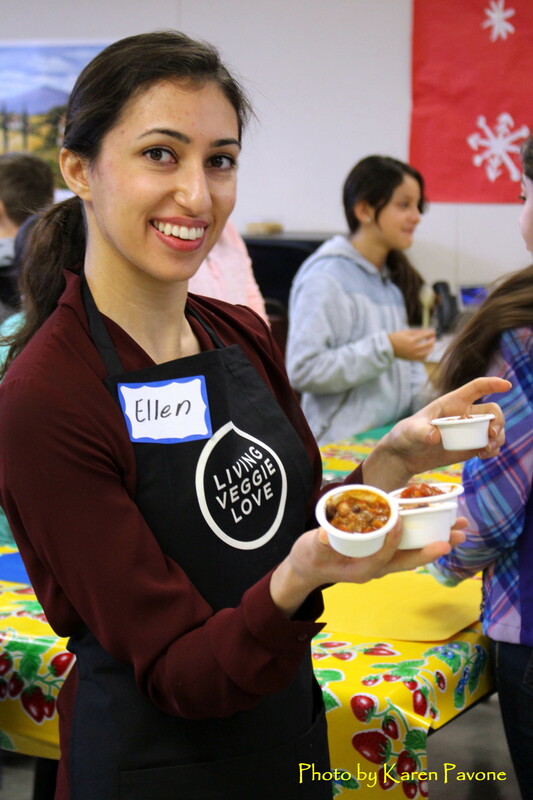 She graduated in 2008 and began volunteering with The Sylvia Center; a nonprofit that inspires young people and their families to eat well through “farm to kitchen” hands-on learning experiences. The organization was contracted by the Mayor’s Fund to Advance New York City to offer six-week cooking classes to elementary school kids in the New York City Housing Authority. The experience profoundly moved her. 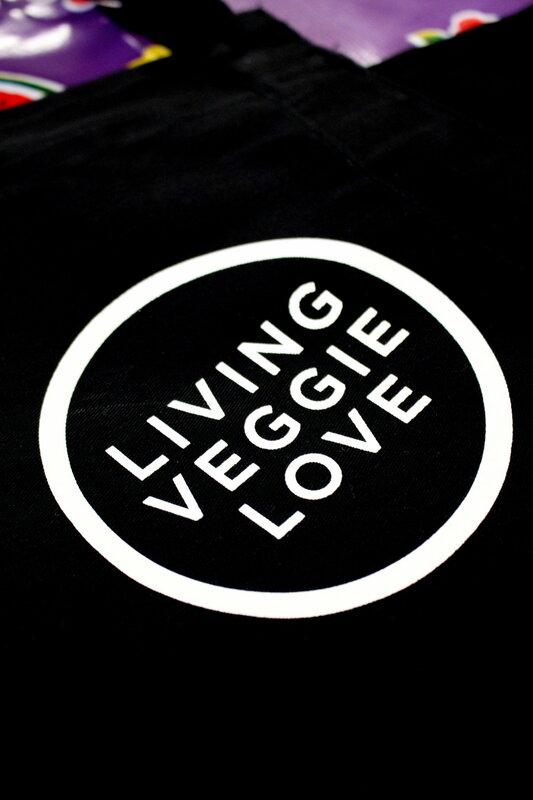 She saw first hand how inner city children, who traditionally did not have access to fresh fruits and vegetables, were learning to prepare seasonal produce purchased at stores in their neighborhood—and loving it! The program was so successful that she was hired to write their curriculum and help expand classes to additional sites and to teens. As she began her new career, Greene wanted to get as much experience as possible working with children in different environments. First Lady Michelle Obama’s Chefs Move to Schools program served as inspiration to make a difference. She volunteered with and then joined Wellness in the Schools (WITS) where she spent mornings working with the “lunch ladies” in the cafeteria kitchen, before switching tokes to take on her Sylvia Center role as teacher and education director in the afternoon. She quickly discovered that many children are fearful when trying new foods, but become more open to experimenting when invited to use all of their senses. She also noticed that students were more willing to try new foods in the cafeteria after WITS ran their cooking labs at the school. 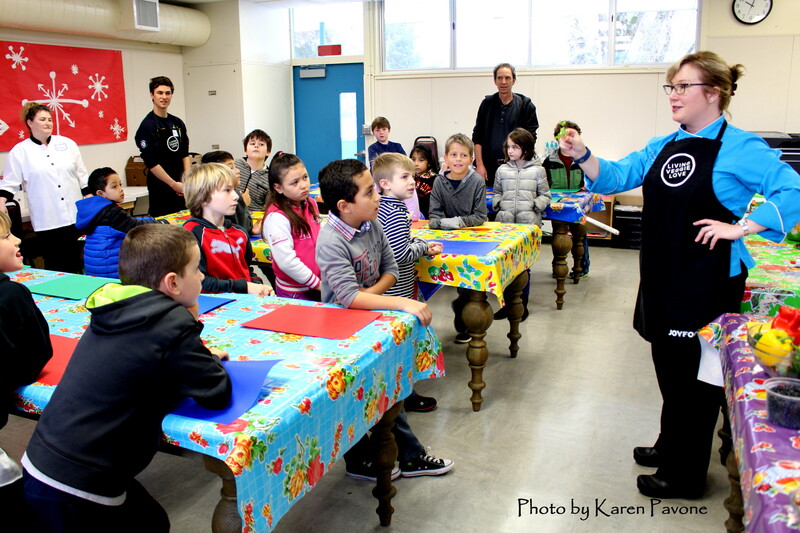 Greene relocated to the West Coast in 2011 and brought her message of “veggie love” to a new audience of elementary school children in the Bay Area suburb of Novato, California. She started a blog called JoyFoodly that chronicled her experiences, along with an online kitchen lab called the Joyful 12. 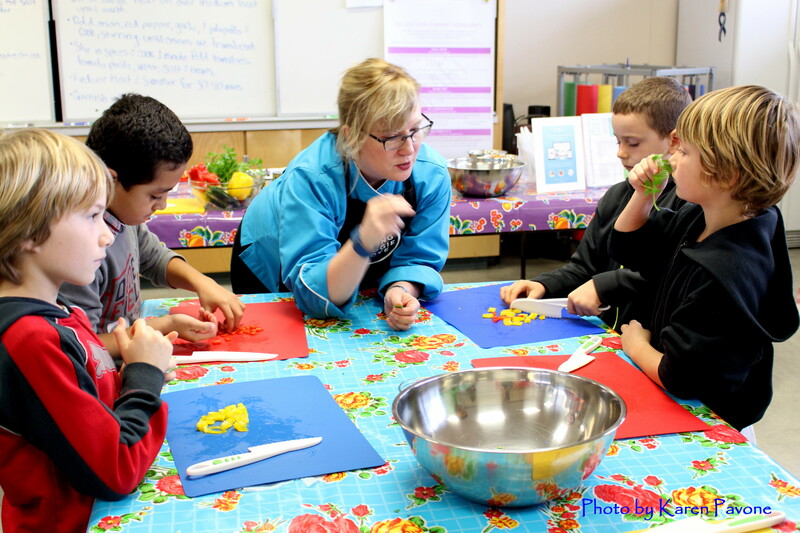 The web-based program is a tool to support parents at home with recipes and tips as their kids learn to experiment with new foods in her classroom cooking labs. 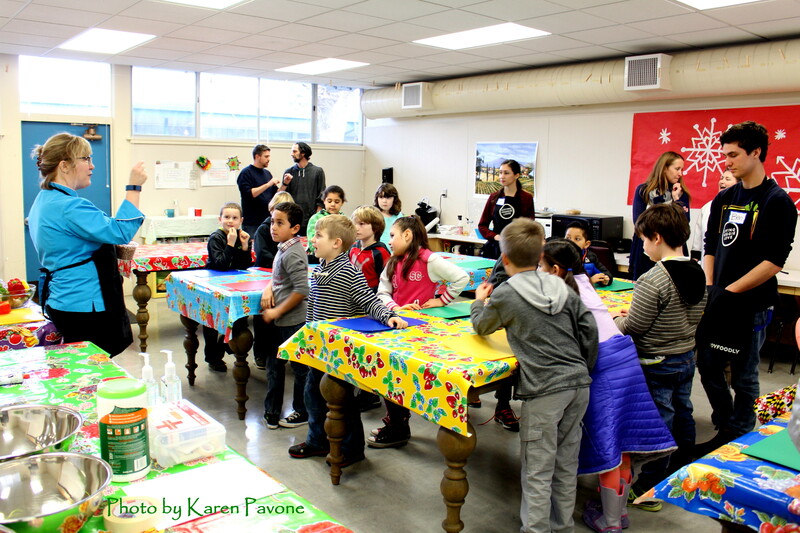 The Joyful 12 School Project with WITS debuted at Lu Sutton Elementary School in 2015 as the first pilot program of its kind on the West Coast for K-5 students. 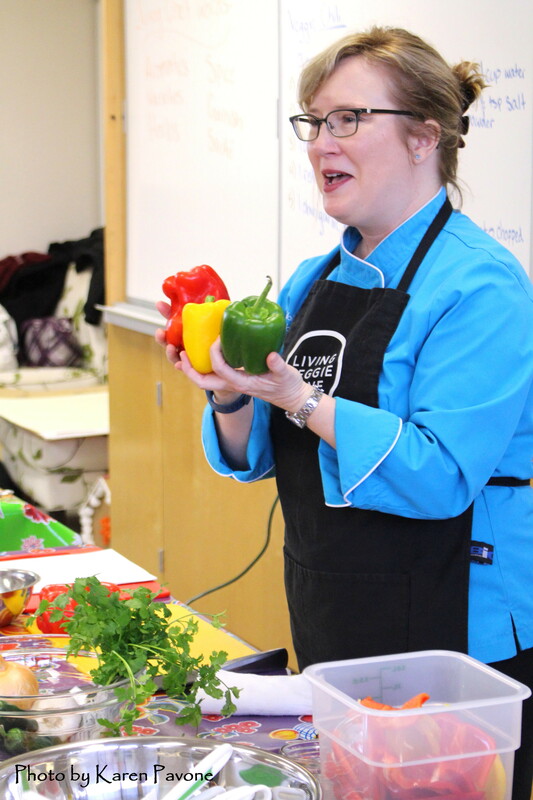 Her popular cooking labs are offered two to three times each school year, and introduce kids to simple seasonal recipes featuring fresh fruits and veggies. 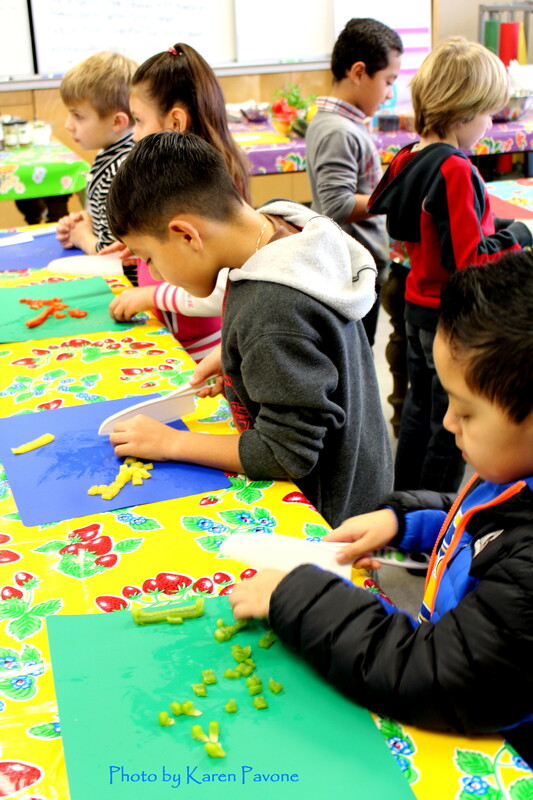 Greene’s innovative approach connects the three “C’s”: classroom, cafeteria, and community. 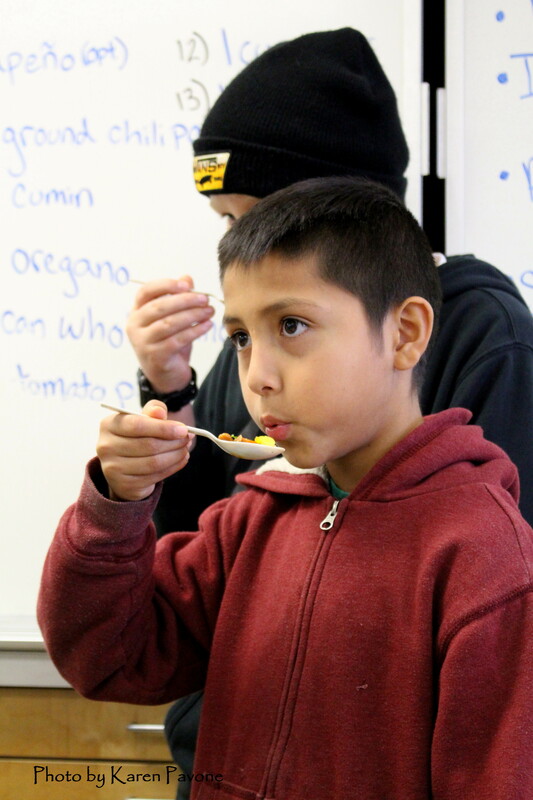 WITS labs teach children about where their food comes from, lets them experience new foods without fear, and supports healthy choices that are delicious and nutritious. 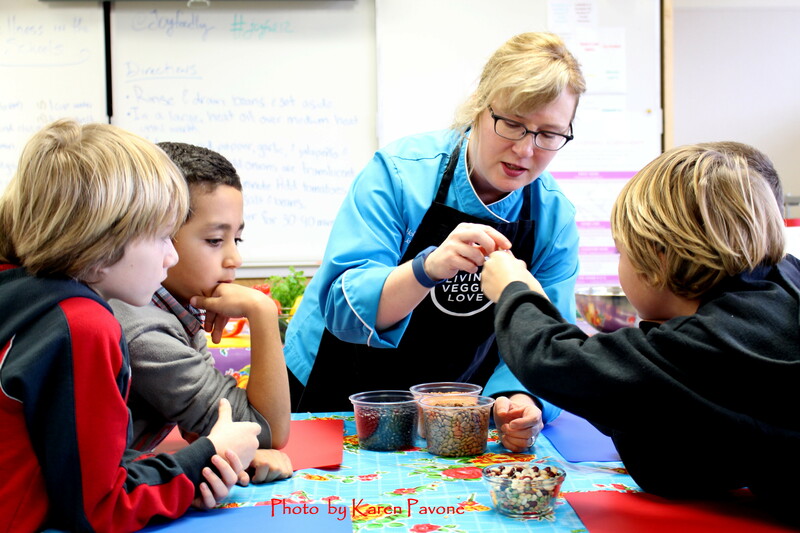 All families at participating schools, along with teachers and students, receive complementary lifetime memberships to Chef Hollie’s Joyful 12 online Kitchen Learning Lab to keep the love of cooking going even after the labs conclude. Watching Greene in action is like witnessing a maestro conducting a symphony. There are lots of moving parts in the WITS Labs, but she ladles out her lessons with heaps of enthusiasm and more than a dash of Chef Hollie humor. 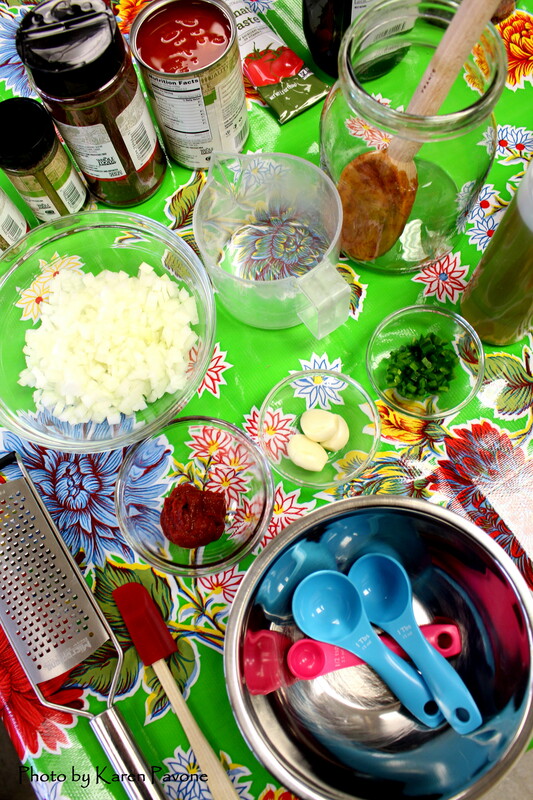 Her approach: Make cooking fun, colorful, tasty, and replicable at home. 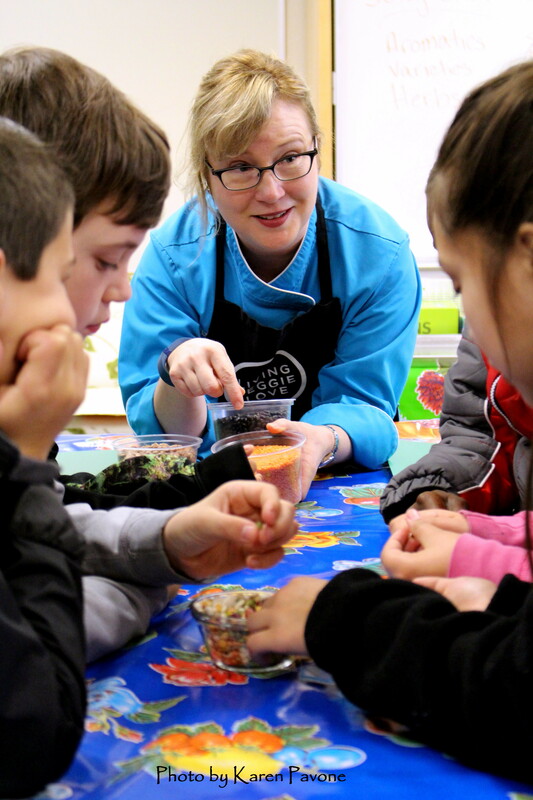 She challenges students to engage all their senses—sight, taste, touch, and even sound—to really connect with what they are eating. 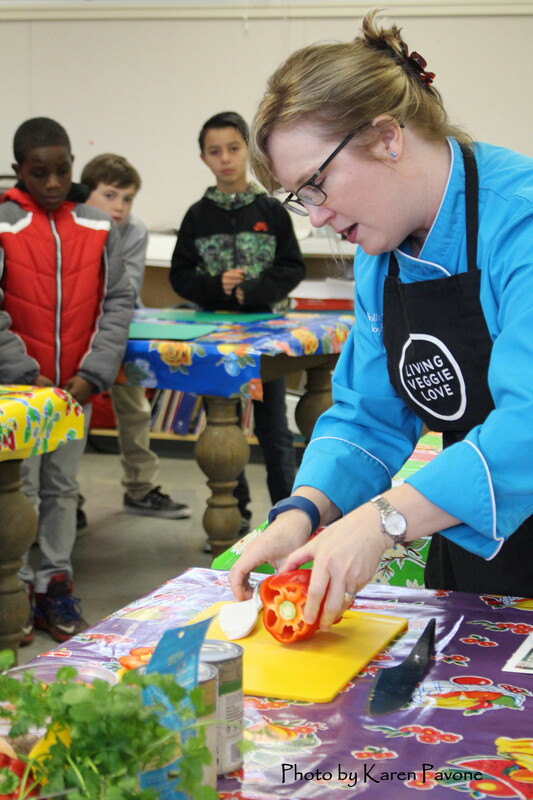 Chef Hollie knows playing with food engages kids senses & curiosity to try new things. 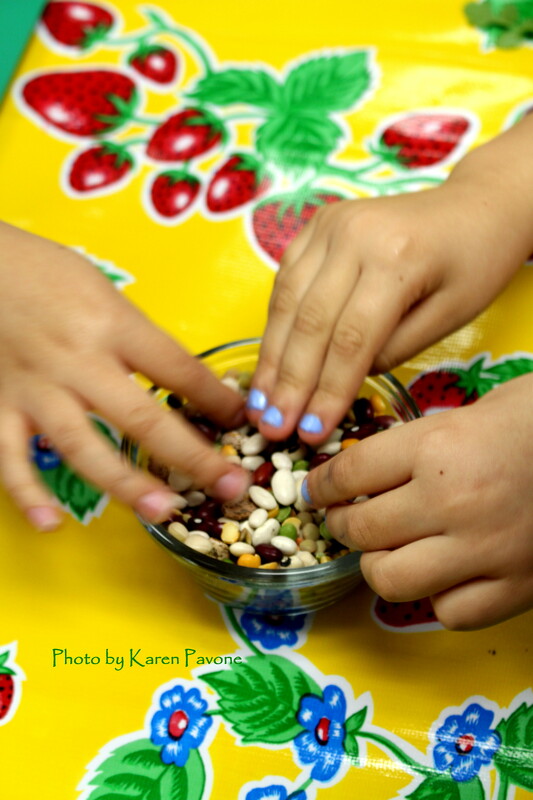 Encouraging kids to engage their senses of smell, touch, and taste. 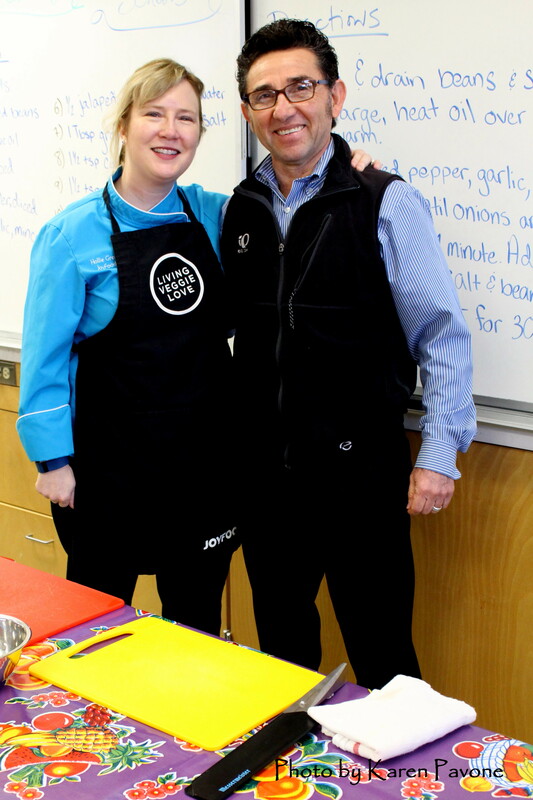 She also teaches her students practical basics and skills that reinforce confidence in the kitchen. They go home excited to share what they have learned with their family. Now it’s the kids turn! “Parents tell me their kids are eating more fruits and vegetables—even those they wouldn’t have tried before like zucchini, eggplant, cabbage and kohlrabi-–because they know how to prepare them in simple, delicious ways, “ she says. Chef Hollie acknowledges that without the WITS Labs curriculum in English and Spanish she would not be able to reach a diverse demographic in the classroom. “I’m very grateful for their generosity and desire to see wellness for all kids in schools!” she says. The proof is in the pudding. 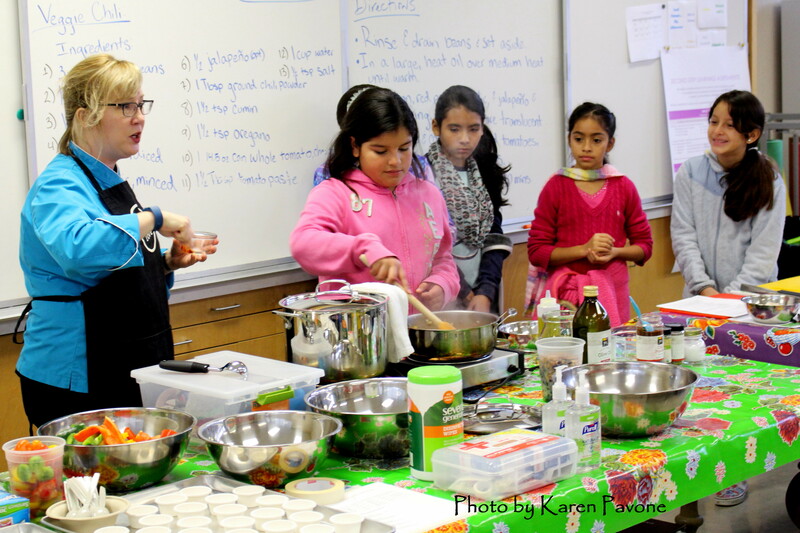 Chef Hollie’s Joyful 12 Project with WITS has plans to expand into three more Novato elementary schools this fall thanks to support from corporate sponsors like Whole Foods Market and Kaiser Permanente, as well as community partnerships with Indian Valley Organic Farm & Garden, Bi-Rite Market, and The SF-Marin Food Bank. She is training dietetic interns to staff the additional classes. Click here to learn more about Chef Hollie Greene and the Joyful 12 School Project with WITS. 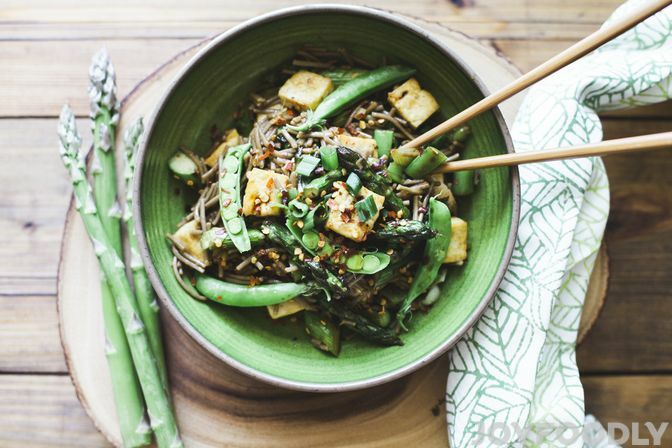 Check out her delicious seasonal recipe for Bursting with Spring Buckwheat Noodles featured on the JoyFoodly blog (photo by Nina Menconi). What a worth while project. Thank you for letting readers know about it.